Key Verse: Verse 1 - “And when the people complained, it displeased the LORD: and the LORD heard it; and his anger was kindled; and the fire of the LORD burnt among them, and consumed them that were in the uttermost parts of the camp." We do have a tendency to complain when things don’t go as we think they should. Martha complained that her brother Lazarus had died because Jesus was late in coming. The tribulation saints complained because God delayed in punishing the wicked. Jonah complained because God spared Ninevah. The disciples complained when a lady washed Jesus’ feet with expensive oil. 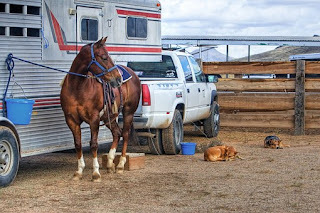 Out West, a cowboy was driving down a dirt road, his dog riding in back of the pickup truck, his faithful horse in the trailer behind. He failed to negotiate a curve and had a terrible accident. Sometime later, a highway patrol officer came on the scene. An animal lover, he saw the horse first. Realizing the serious nature of its injuries, he drew his service revolver and put the animal out of his misery. He walked around the accident and found the dog, also hurt critically. He couldn’t bear to hear it whine in pain, so he ended the dog’s suffering as well..
It’s always good to remember not to complain and talk about your problems. Eighty percent of the people don’t care; the other twenty percent will think you deserve them. ✞ It’s wise to remember that if we whine continually, eventually no one will listen.